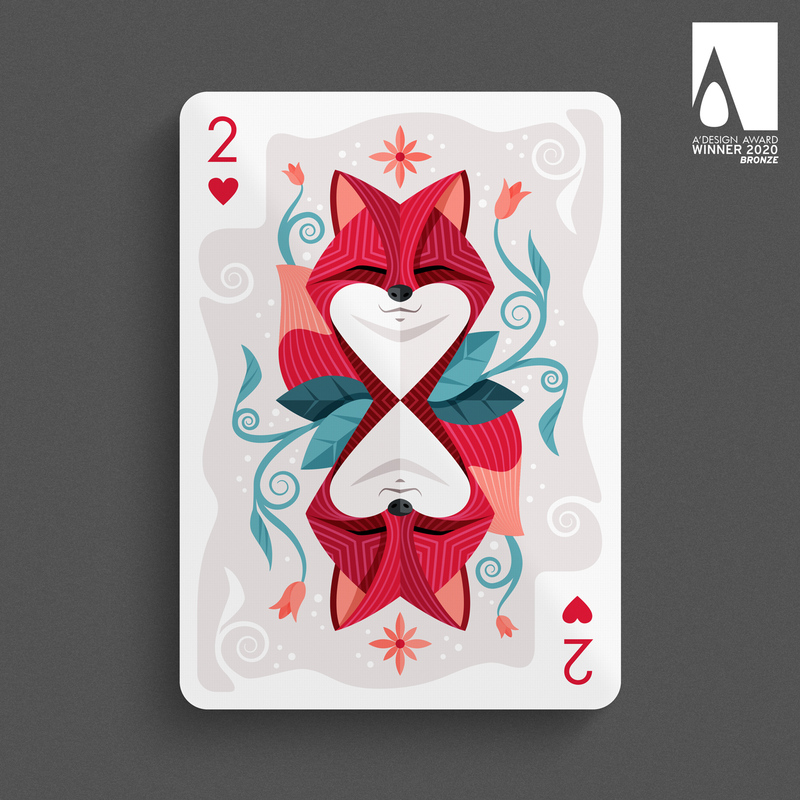 Two of Hearts' is a vector illustration that I created for the collaboration project called 'Luck of the Draw'. The project was initiated in 2018 by Victoria Spady who selected artists all around the globe to decorate each card of a special edition deck. I was attributed the 'Two of Hearts'. Since I really appreciate to draw characters and especially animals, I chose one of my favourite and based my illustration on it. Below you can find the final design.